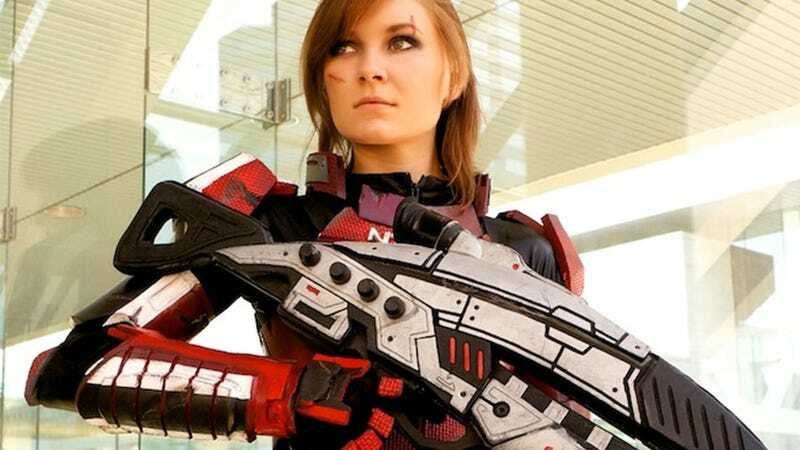 There's no shortage of quality Commander Shepard cosplay in the world, but this outfit by MissCordie has instantly become one of the best we've seen. Why? It's the extra mile. A lot of Shepard cosplayers replicate the design of the uniform and leave it at that. MissCordie's here is beat up. It's missing paint in parts, it's covered in scratches and just generally looks like it's been through 100 combat missions in deep space, not a suitcase on the way to the local convention centre. You can see more of her work at her DeviantArt page. Also, check out this cool "360-degree" view of the costume. It's like E! are live from the red carpet on... the Citadel.